Where, when, how did you learn to dive? I was doing work placement as part of my university degree at a mine site in western Queensland. It was a drive in/drive out mine (none of this fancy pants flying) and I had 8 days off to explore. I was eying up this epic 4 day helicopter-in white water rafting trip on the North Johnstone River however it ended up being cancelled due to lack of rain. One of the mine site geologists was a dive master and had been talking about how much he loved diving; given I didn’t have anything else to do I thought I’d give it a go. Way back when the open water course was a 5 day pool and theory course before you went out for your ocean dives. I did it with Mike Ball in Townsville and my 7th and 8th dives were on the Yongala wreck – an absolutely stunning dive and probably one of the best introductions to diving. It was a couple of years after my open water and I’d moved back to Townsville to work for the Great Barrier Reef Marine Park Authority. I went to an Olympus showcase evening at the local dive shop and impulse bought my first camera, a 2MP camera with plastic housing for the bargain basement price of $1400. I spent pretty much every holiday and every second weekend for the next four and half years diving the length and breadth of the Great Barrier Reef. I was lucky enough to get to some incredibly remote places and occasionally even got paid to dive. I saw some awesome things, none of which I was actually able to photograph well. 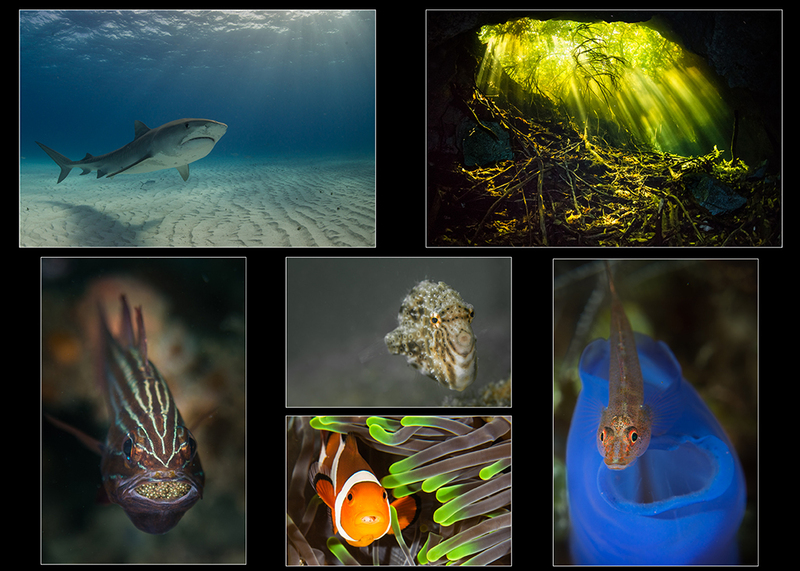 It took me a long time to decide to take up photography and I spent over 10 years as a happy snapper because I just wasn’t sure I wanted to be that kind of diver. While I loved the images I’d seen other people take, I didn’t want to lug all of that gear and wasn’t convinced the money for better gear was worth it. I finally caved and bought a Canon s100 compact with twin strobes and did some dives in Bali with Jeff and Dawn Mullins before heading to Lembeh with Shannon Conway. That trip to Lembeh cemented my desire to be an underwater photographer. I’d been a land photographer for about 10 years and found myself frustrated with the limitations of the compact. A year after buying the s100 I made the decision to house my dSLR. Today I shoot with a full frame Nikon d600 with the full assortment of lenses in a Nauticam housing and twin Sea&Sea YS-D1 strobes. I’ve been to some random places in the world diving, such as Tanzania and Iceland, but big animals are what I love the most. Some of my favourite locations are the Galapagos Islands, Isla de Revillagigedo in Mexico and Tiger Beach in the Bahamas. Seeing a great hammerhead in 12m of water while getting paid to dive definitely ranks pretty highly – I did the squeal and underwater dance and everything. However I think the most memorable was my first ever sighting of a scalloped hammerhead. I was diving at Osprey Reef in the Coral Sea with my original little Olympus. I remember looking up and seeing this magnificent animal swimming past. I pointed the camera but couldn’t see anything in the screen, I kept trying and still couldn’t see anything. I gave up trying to take a photo and after the animal had swam past I looked to see what the problem was with my camera – the lens cap was still on – the red plastic lens cap that sat on the housing. Oh well.